1. Pair the straws in sets of two so that you have four sets of straws. Cut the plastic straws into four different lengths. 2. Tape the different lengths (pairs) to the cardboard strip (shortest to longest). Try to leave a small gap between the pairs. 3. Hold the musical pipe straws and blow across each straw. Which makes the highest noise? When you blow across the top of the straw, the air vibrates inside the straw and makes a sound. 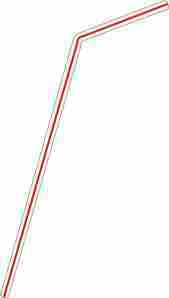 As the straw gets shorter, the air loses less energy and vibrates faster, therefore making a higher sound.